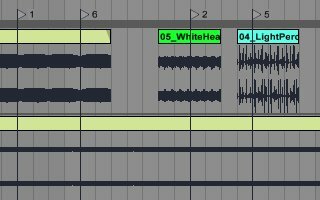 While Ableton Live's Session View is an ideal environment for improvisation, it's also possible to trigger different parts in non-linear order from the Arrangement View. In a new tutorial, MacProVideo's G.W. Childs IV explains this trick using rhythm markers. "I started to produce in Ableton and found it to be a much more organic process. It’s quicker to get ideas down. If you know how to warp the different elements of a track in the right way it sounds phenomenal and it’s so straightforward to do."